There is nothing better than jumping off the back of your pontoon boat in the dead heat of summer. Likewise, there is nothing worse than when your precious pontoon ride is cut short due to a damaged boat. If your pontoon boat is in need of repair, Anchor Marine Repair is the best place to go. We are the the number one storm and collision repair place for Minneapolis and St. Paul pontoon boat repairs. Over years, pontoon boats have increased in popularity and therefore, have also increased in their technology. Whether you like the excitement of cutting through the water as fast as a jet ski, or the slow cruise around your local lake while sipping on something sweet, the pontoon boat is the perfect watercraft for all of it. Couches, lounge seats, captain’s chairs, and even kitchen sinks are all being offered on the newer models of pontoon boats. Throwing a party on a boat or pulling the kids on the inner tube has never been more easy! With that being said, the more people you have and the more rides you take, the higher the likelihood of one of your precious couches being damaged. When you put some years on a pontoon boat, a little damage is only natural and can really reflect all the fun you have had on your boat. If the carpeting looks bad, or your couches have developed some mold, it may be time to either replace or restore those items and give your boat that much needed facelift. At Anchor Marine Repair, we can update your pontoon with replacement seats, furniture, accessories, and we could even add a Bimimi top or canopy, keeping you shaded while you enjoy your day out on the lake. With over 45 years of combined experience, Anchor Marine Repair can help you get your pontoon back out on the water and in functioning condition! We repair, renovate, and refurbish all types, sizes, and styles of pontoon boats and can’t wait to work on yours! If you are looking for Minneapolis and St. Paul pontoon boat repairs, stop your search because you have found the right place! 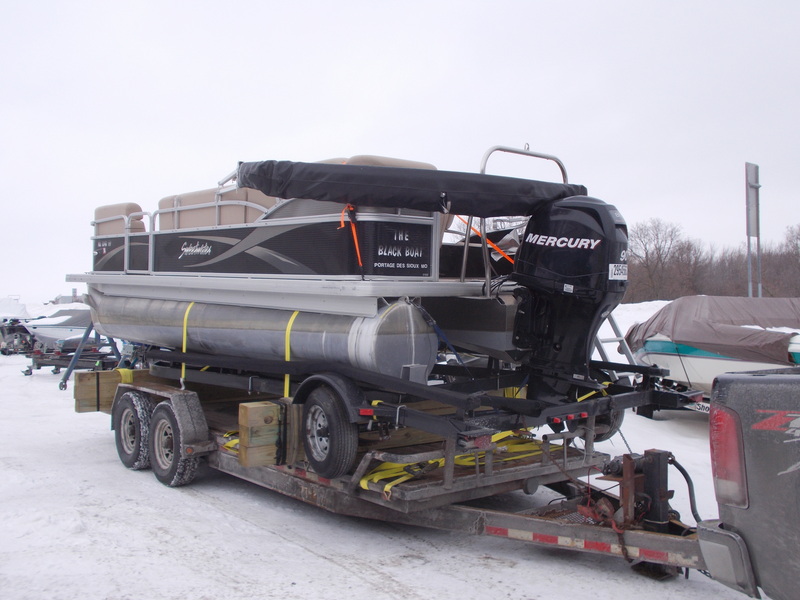 We offer free pick up and delivery to any boat within a 250 mile radius of the St. Paul/ Minneapolis area. Call Anchor Marine Repair today at 763-972-3540.